International Picnic Day celebrates the gathering together outdoors to eat and enjoy one another’s company – The Picnic. The true origin of International Picnic Day is unknown, but can be traced back to the end of the French Revolution and the Victorian Era. Picnics were ways for people to escape the restrictions of etiquette and formality. As an informal food holiday, there are few rules and lots of options. 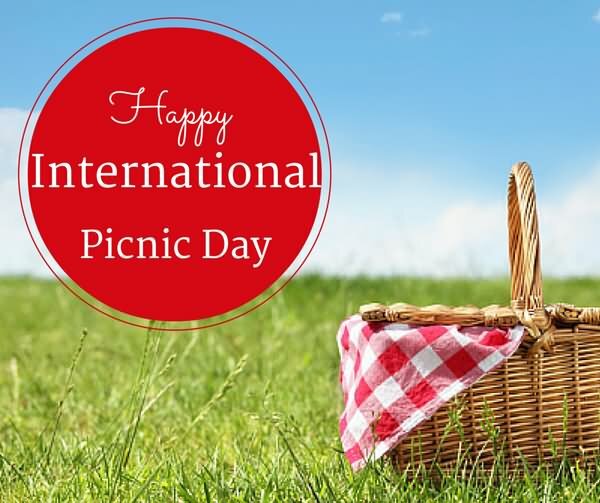 International Picnic Day is observed on June 18th each year. International Picnic Day is a day to commune with nature and enjoy a lovely summer day if you are in the Northern Hemisphere. For those of you in the Southern Hemisphere, who says you can’t picnic indoors? Just spread a blanket in the middle of your living room. Maybe even create a pillow fort and enjoy some time with your family! A similar holiday is celebrated in the Australia’s Northern Territory on the first Monday of August each year. Picnic Day in this region is a public holiday. It’s International Picnic Day! Today we celebrate one of the greatest ways to enjoy the summer season—an outdoor picnic with friends, family, games and activities, and delicious food. To celebrate International Picnic Day, invite your friends and family to a summer picnic. Find a suitable location at a local park or field, and sit back and enjoy an al fresco meal in the company of your loved ones.